We invite you and your colleagues to get involved with the work we do at SFC and are pleased to support corporate social responsibility initiatives. 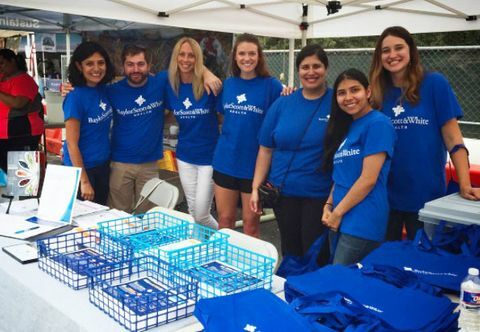 We offer several opportunities for local companies that are interested in providing a worthwhile experience for their employees while giving back to the community. From group volunteer days in our teaching garden to whole day experiences in our conference room and teaching kitchen, we have something to fit almost any need. 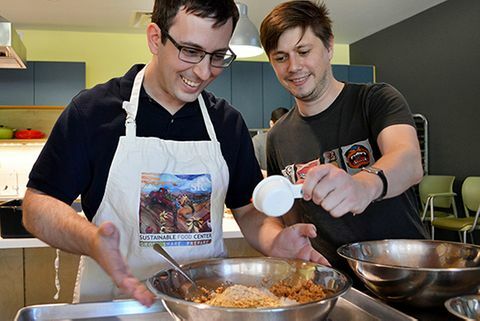 All proceeds from these offerings support our programs and efforts to improve access to nutritious and affordable food for low-income residents. 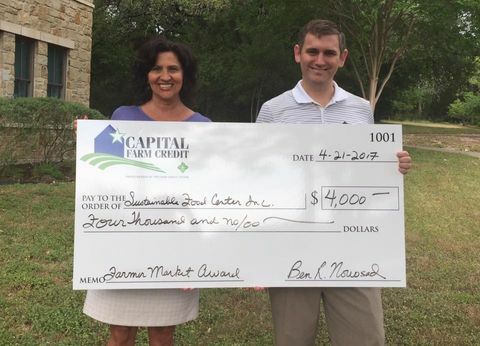 We have sponsorship opportunities available at our SFC Farmers' Markets and our annual Farm to Plate fundraiser! Contact us for more information. 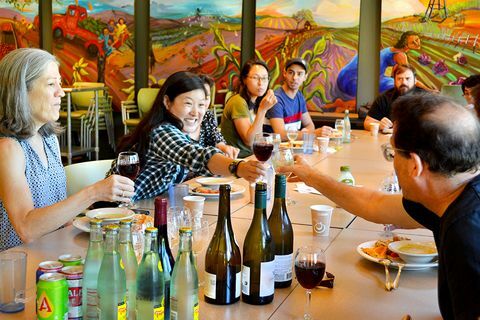 We offer private cooking classes and meeting space packages for companies that are interested in hosting a meeting or event in our space while also providing a worthwhile local food experience for their employees and clients - all while giving back. 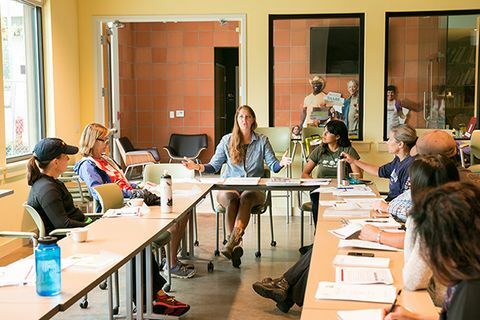 Whether you are coordinating plans for an event or meeting, check out our space! Our fully functional kitchen and conference room are perfect for self-catered holiday get-togethers, business meetings, and celebrations. When combined with the adjacent conference room, our solar-powered, 4-star rated green energy space can accommodate up to 75 people. We host private cooking classes in either a demonstration or hands-on style. 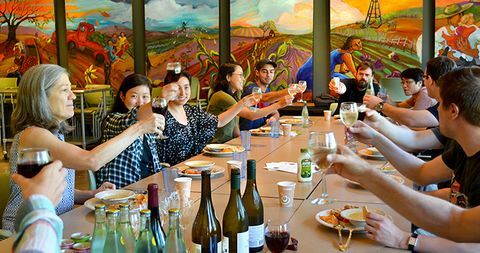 These classes are a great way to bring your group together in a local food experience while encouraging participants to try new foods and choose healthier options. We offer group volunteer opportunities in our Teaching and Herb Gardens. 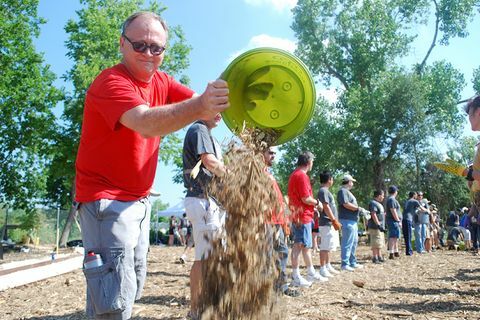 A typical work day will be on a weekday from 9-12pm and may include a variety of activities such as weeding, planting, harvesting, and building garden beds. Farm to Work is an employee wellness and Farm Direct marketing project that connects local farmers with employees at partner worksites. 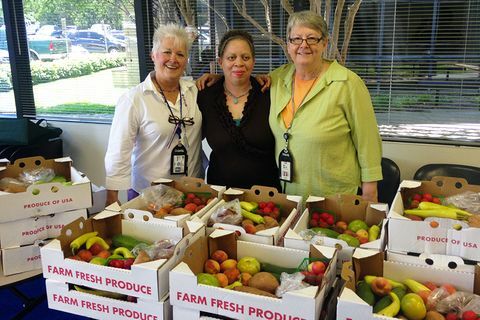 Farmers deliver local fruits and vegetables directly to the workplace. We are thankful for the passion of our company partners who promote our work in the community. Hosting a fundraising event helps raise awareness and charitable funds for our mission. Contact us if you are interested in hosting an event for SFC. We are so grateful for the funds we receive from our corporate partners. Contact us for more information on corporate grants for SFC. 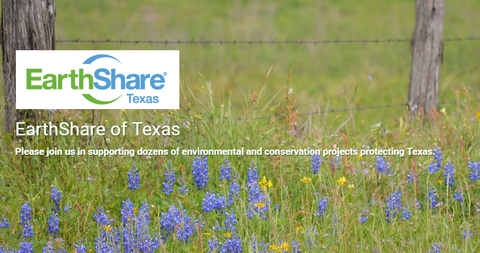 EarthShare of Texas represents SFC in workplace payroll contribution plans throughout Texas. For more information about how you can support SFC and other leading environmental groups at your workplace, call 1-800-GREENTX, or visit earthshare-texas.org.